Citrulline is a non-essential amino acid, which means that it is synthesized in the liver and it does not have to be obtained directly through the diet. 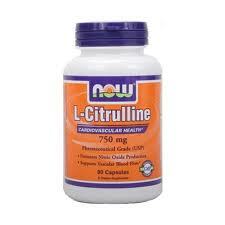 Citrulline is found mainly in the liver and is a major component of the urea cycle. It is found in abundance in plant foods such as onion and garlic. Studies suggest that deficiencies may occur in some infants and adults because the rate of production may not be equal to their need. Some individuals possess a genetic defect which prevents proper conversion of citrulline to arginine. This results in the buildup of citrulline in the blood and a deficiency of arginine. This condition is associated with ammonia build up in the body and symptoms such as irritability and mental confusion. Zinc and vitamin B6 are useful for promoting the conversion of citrulline to arginine. This non-essential amino acid is useful for detoxification of ammonia and in the treatment of fatigue. A precursor to the essential amino acids arginine and ornithine, citrulline can influence the production of the growth hormone.